Ribbon roses can add a fun -- even fancy -- touch to a plain craft project. Whether you're decorating a skirt, hat or other sewing project, or creating a bouquet that will last for years, ribbon roses require only basic sewing skills -- making them the perfect embellishment for beginning sewists. Make them by hand or machine, and use different types and lengths of ribbon for ultimate customization. Cut edge of ribbon on bias -- that is, diagonally from one tip of the edge of the ribbon. Thread your needle with approximately 15 inches of thread. Baste the ribbon starting 1/2 inch from cut edge from one end to the other. Basting involves making long stitches from one end of the ribbon to the other. Make stitches with 1/4 to 1/2 inches of space between them, depending on how loose or open you want your rose to appear. Cut the thread, leaving a 1/2-inch tail. Pull 1/2-inch tail of thread, As you pull, the ribbon gathers. Redistribute the gathers so they don't clump up and look unsightly. Some variation is acceptable -- it's all about what you find aesthetically pleasing. Shape the rose by coiling ribbon around itself. Safety pin the base or bottom of the rose. Use the needle and thread to sew the bottom, stitching through all the curls/coils of ribbon. Sew back and forth until you feel rose is secure. Smaller lengths of ribbon will make smaller roses. Longer lengths will make larger roses. Experiment with different types of ribbon. 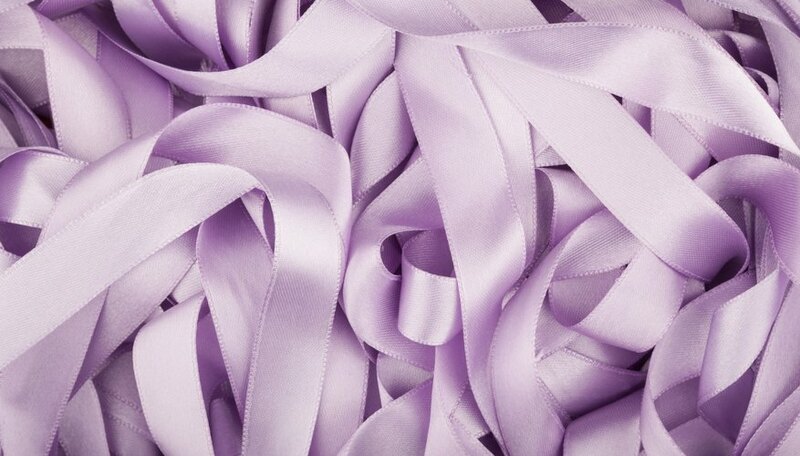 Silky and satin ribbons look elegant, while grosgrain ribbons give a rougher look. Experiment with different patterns and colors not found in nature for a funky look.